Elijah Llinas’, aka singer-songwriter Human Kitten, second full-length album deals with struggling with cultural, societal and gender identities and the hushed lines between opposites. Llinas operates like Paul Baribeau – just a person with a guitar, using it more as a weapon to bring the lyrics home than as a lead instrument (although it’s not as almost abysmally basic as Baribeau’s playing). “Manic Pixie Dream Boy” is an honest look inside someone struggling to figure out exactly who they are. Llinas has a voice fit for folk-punk, clear and strong, while still honest and raw. The vocals accurately reflect the varying emotions in the lyrics and add a very honest element to the music. And for one person with a guitar, Llinas has a firm grasp on songwriting. Whether lyrically or musically, the thirteen tracks on the album can differentiate themselves from each other. They all fit together, but Llinas employs tonal and volume shifts to keep it interesting. “San Diego” starts the album off on a reflective note, where “Share What Ya Got” ends on a guitar-heavy climax. As mentioned, this album is lyric-focused. Llinas channels frustration with punk culture, and stresses with gender identity and acceptance. On opener “San Diego,” Llinas sings, “What have punks really done for the world?,” where later confessing to being a part of punk culture. And Llinas sings about gender on “Nature v. Nurture,” singing, “I told my doctor today that I am not a man / I am not a woman / Hell I don’t know what I am.” Later, on “Gender Bronoun,” “I’m caught between two separate identities and I can’t even decide on which one’s me.” Llinas’ poetry is more than honest, it’s a direct outburst. The songs are an inward portrayal at questioning one’s gender (and also, I just want to say, it’s 2014 and we still haven’t created a societal safe space for people questioning their gender. It’s very real and very prevalent). Llinas’ deeply poetic lyrics extend to depression, too, as on “I Still Don’t Want to Be Sad,” where Llinas sings, “I am sad most of the time but you can’t see it ’cause I keep it inside.” It’s heavy, deep, and relatable in one sentence, as folk-punk often is. 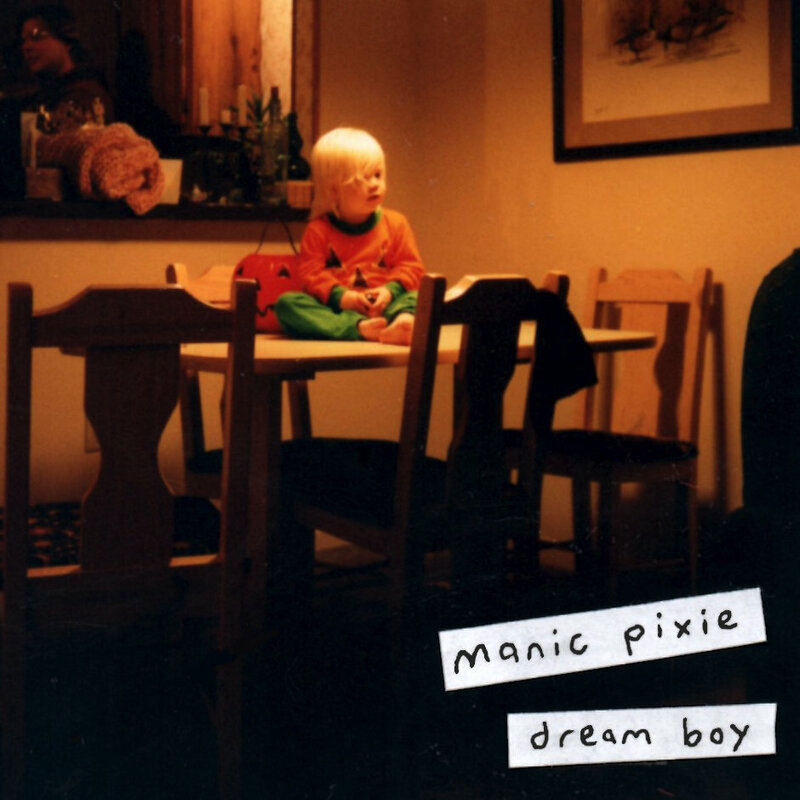 “Manic Pixie Dream Boy” is a proper folk-punk work; it’s acoustic but often fast, and lyrically devastating at almost every turn. Llinas is conflicted, and that’s something that maybe shouldn’t be analyzed and graded in a review, but it comes through in an honest and affecting way. The album looks at some societal standards in a confounding light and questions some fundamentals. But first and foremost, it’s an honest and inward release, one that’s, at times, all too easy to relate to. Folk-punk is often meant to disturb in some way, and Llinas takes the emotional route with a thought-provoking look into identity crises. The album is available for purchase and streaming here.